- Pocket-sized Wireless N router travels effortlessly. - Quickly create a secure Wi-Fi hotspot to. - 300Mbps Wi-Fi speed on 2.4GHz band for lag-free video streaming and online gaming. - Compatible with Chrome cast. - Micro-USB port for powering via an external adapter or USB port. 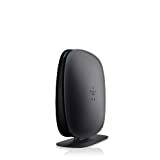 - Supports Router, AP, Client, Repeater and WISP operation modes. - Pre-Encryption function sets initial SSID and password protection. - Industry-leading 2-year warranty and unlimited 24/7 technical support. - There appears to be very little documentation on this router. - The micro USB power and Ethernet ports are on different sides of the router. - The micro USB power port on this router appears to be recessed further inside the unit than it should be. 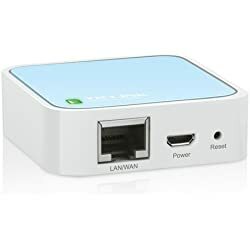 The TL-WR802N N300 Travel Router is a very good traveling companion for those who need wireless connectivity while away from home. The device is tiny and so is the price but it is extremely good value for money. Whether you travel a lot or simply stay home and need a router to share your Wi-Fi connection, the TL-WR802N can do what you require. 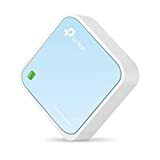 As the TP-Link TL-WR802N N300 Wireless Wi-Fi Nano Travel Router is the smallest wireless router in the world and it is extremely easy to use it is one we recommend. 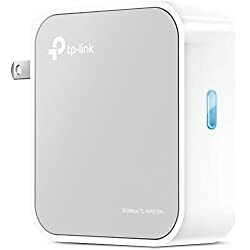 If you travel the world or even just in your own country and need a router to share your Wi-Fi connection, the TP-Link TL-WR802N N300 Wireless Wi-Fi Nano Travel Router can satisfy your needs. It is the tiniest wireless router available in the world and it is extremely easy to use. In this review, we focus on the technology in the TP-Link TL-WR802N N300 Wireless Wi-Fi Nano Travel Router and how it can, among a lot of other things, quickly create a secure Wi-Fi hotspot while you are on your next trip. – Pocket-sized Wireless N router travels effortlessly. – Quickly create a secure Wi-Fi hotspot to. 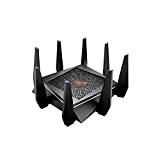 – 300Mbps Wi-Fi speed on 2.4GHz band for lag-free video streaming and online gaming. – Compatible with Chrome cast. – Micro-USB port for powering via an external adapter or USB port. – Supports Router, AP, Client, Repeater and WISP operation modes. – Pre-Encryption function sets initial SSID and password protection. – Industry-leading 2-year warranty and unlimited 24/7 technical support. The nano-sized TP-Link TL-WR802N N300 Wireless Wi-Fi Travel Router is your ideal travel companion whether going abroad, traveling within your own country or simply staying at home. When traveling, all you need to do is plug a hotel room’s WAN cable into the port provided and input a default password to quickly establish a wireless hotspot in the room. The TL-WR802N has a micro-USB port and can be powered by a power adapter or by using a USB connection to a computer. When you are traveling, you can plug the TL-WR802N into your computer’s USB port and share your Wi-Fi connection with family and friends. 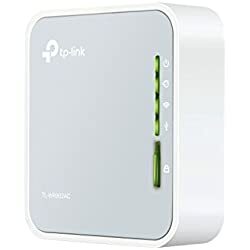 This TP-Link N300 travel router supports AP, Router, Bridge, Client and Repeater modes to let various wireless applications give users comprehensive wireless networking. It also provides WPA-PSK/WPA2-PSK encryptions, which protect the wireless network. The nano router’s pre-encryption function sets the first SSID and password for you to protect your security. The router operates on the 2.4 GHz band with a throughput rate of up to 150 Mbps. It gives you a fast Ethernet port which can serve as either a WAN or LAN port. 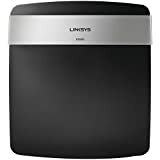 When connected to WAN link, the device enables you to easily connect to wireless devices using the pre-configured information on the attached sticker. You will probably want to use the Nano as an AP and you will find that is extremely easy. For the tiny price you pay for a tiny device, the router lets you set up wireless LANs, secure, private hotspots or extend an existing WLAN so it gives you extremely good value for your money. 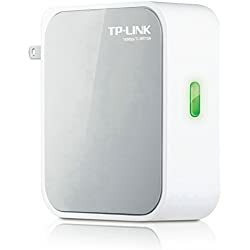 Whether you travel a lot and need a router to share your Wi-Fi connection, the TL-WR802N can do what you require or, if you are just wanting a router at home perhaps the TP-LINK TL-WR940N V3 N450 or the TP-LINK TL-WR841N N300 would be more what you are looking for.